Kansas was an exciting three wide racing mile and a half track. 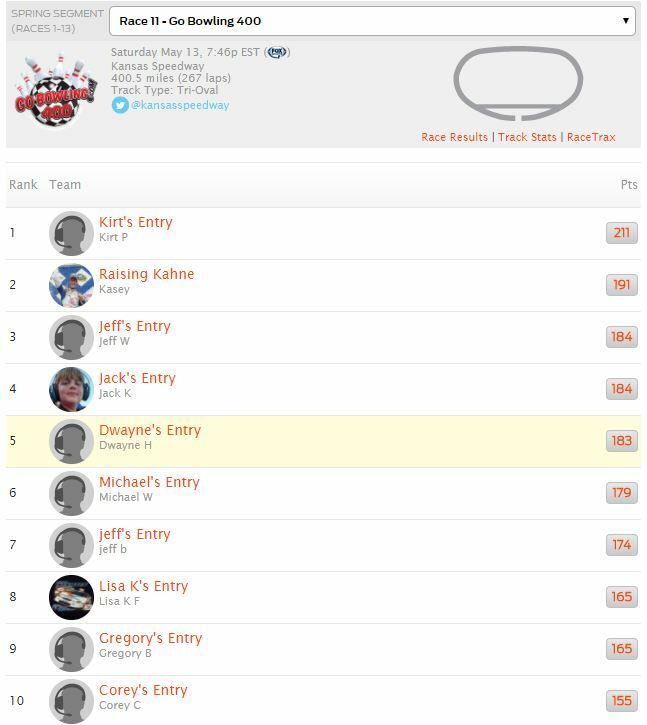 After the barrage of cautions at the end, Kirt Pequignot amassed a whopping 211 points to take another first place win. 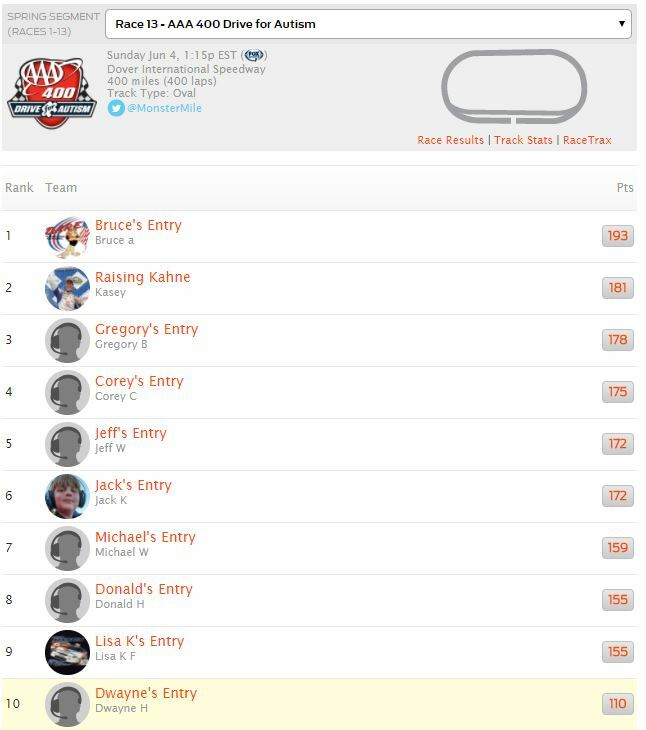 Raising Kahne was strong all night and finished second with 191 points. Jeff Ward and Jack Kibbler tied for third place with 184 points. Kirt Pequignot, Jeff Ward and Mike Ward have been the model of consistency of the past few weeks. They have put themselves in a position to win Segment one. Only a handful of points separate the top four teams in the standings. Next week will be a nail biter to see who can come out on top in Segment 1. On to Charlotte Motor Speedway for the final race in the Spring segment. We all went to bed thinking Kirt’s team had won. 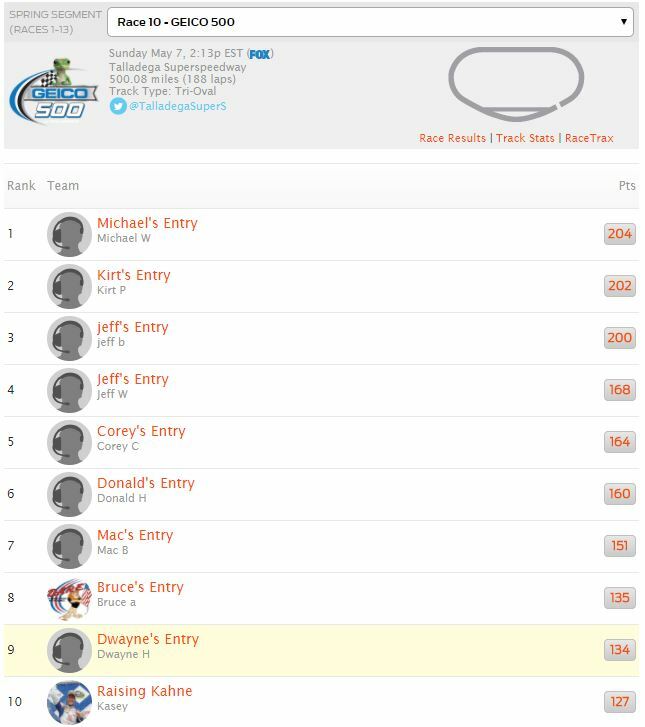 But after NASCAR tallied the points Mike Ward’s team came out on top with 204 points. 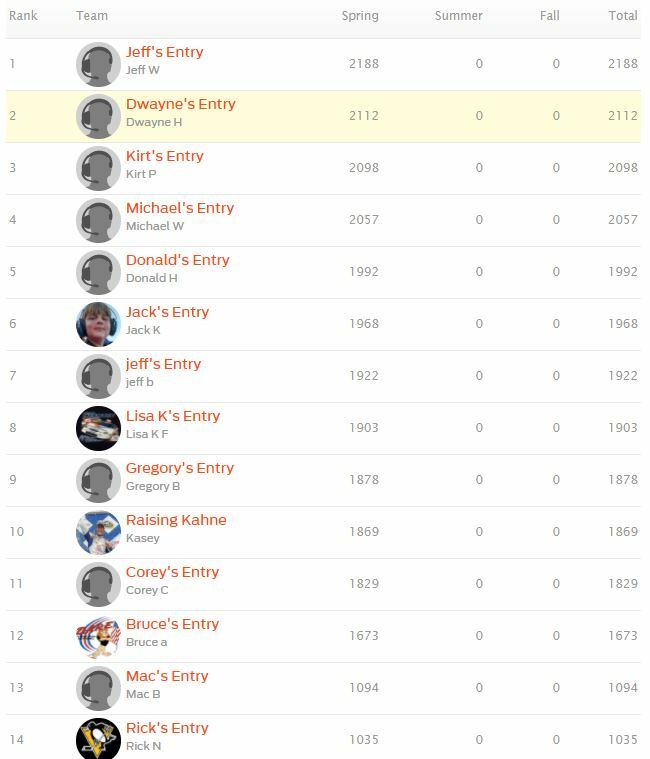 Mike’s team has been unstoppable the last three weeks. Congrats to Mike! 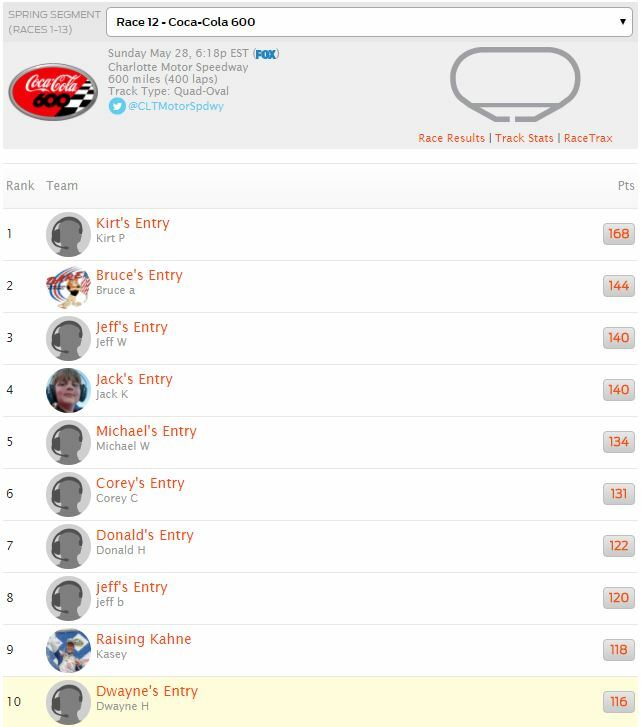 Kirt’s team has been rolling this season as well. Although, after a shocking development, they received a second place finish with 202 points. Not shabby, but not the win they thought they had after the race. Jeff Bucy’s team was strong all day finishing in third place with 200 points.